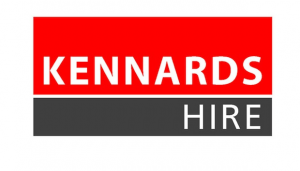 Kennnards Hire has launched a suite of cordless products to complement their standard 240V and petrol fuelled equipment. The products are now available in three of their flagship branches in Richmond (VIC), Moorabbin (VIC) and Artarmon (NSW). As part of the suite of innovative equipment available for hire, customers have access to a range of cordless water transfer pumps, magnetic base drills and demolition saws from Milwaukee. The three branches will also be fitted with Milwaukee customer experience centres. “Cordless tools are now as powerful and in some case more powerful than their traditional corded and petrol equivalent. Our large range of cordless tools deliver consistent power, durability and lengthy run-time for jobs big and small,” says Kennards Hire head of assets and procurement Braden Murrin. Select Milwaukee cordless gear features the dynamic ‘One Key’ technology. Customers are able to adjust the equipment settings from their mobile phone or portable device, for unparalleled command over their work.